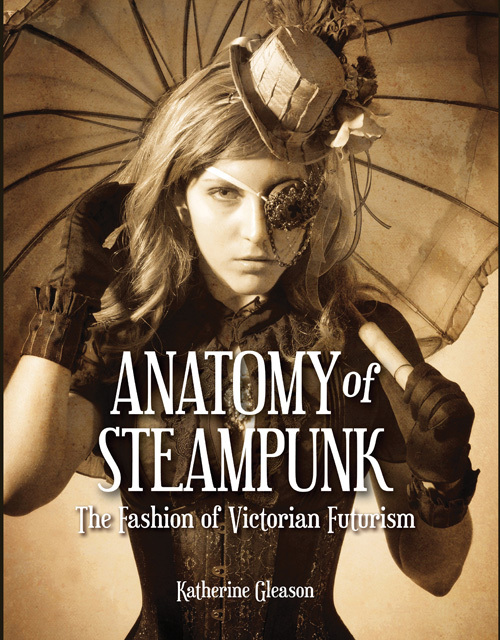 Anatomy of Steampunk: The Fashion of Victorian Futurism has gone into a second printing. Woot! Read an interview with me about the book on the Craftside site. Illustrated throughout with color photographs of the dazzling creations of numerous steampunk fashion designers, Anatomy of Steampunk is an inspirational sourcebook. In addition to presenting the looks and stories of these creative fashion artists, the book also details ten steampunk projects for the reader to try at home. Allow steam to power your imagination. Look for Anatomy of Steampunk wherever books are sold! For updates, catch me on Facebook, Twitter, or Tumblr.